The adventure touring and dual sport market is one of the broadest and quickest growing motorcycle markets today. The market is wide enough to encompass bikes that are small, converted dirt bikes, and large multi cylinder machines capable of crossing continents. Riders need versatile gear choices for this type of riding. There are many options for a dual sport rider to choose from, but the LS2 MX453 Dual Sport helmet is designed with adventure riders in mind. This helmet features a dirt bike peak to block the sun and a visor to keep the debris and wind out of your face. A dual sport helmet may be the perfect balance between functionality and comfort. LS2 helmets is owned by MHR Helmet CO. MHR began producing helmets in 1998 and has sold them to other labels for many years. In 2005 MHR began the JPH helmet production facility in China. In 2007 MHR opened up the LS2 helmet line to sell their own brand of helmets. These helmets were first sold in the Europe market, and within a couple of years LS2 has grown to be the largest selling brand in Europe. In 2010 LS2 came to the US market. The MX453 dual sport helmet is constructed of a lightweight fiberglass tri-composite shell. This allows the helmet to be lighter than many other manufacturing processes. The interior is constructed from a moisture wicking technical fabric. The foam liner is cut from a solid block of foam, not layered and glued like some helmets. This results in a much nicer feeling foam pad. The shield is scratch resistant and features a fog resistant coating. The visor is also designed to minimize lift. This helmet is DOT/ECE approved and available in three graphic options and three solid options, including a Hi Vis Yellow. This helmet uses a tried and true double D ring closure system with LS2’s personal improvement. It has Velcro to hold the comfort pads between the strap and your face. The helmet comes packed in a nice fitted helmet bag, an owner’s manual, one LS2 sticker and some reflective stickers. The stickers have an information sheet showing where to apply them if you choose to. This helmet fits a medium oval head shape. This shape is the most popular in America and should fit most riders. This helmet has a plush, surrounding liner that provides a great fit. Since this is a dual sport helmet the length of the chin bar is long, and doesn’t make a person feel cramped. Where this helmet shines is in the comfort features. The liner is excellent. Since the cheek pads are cut from one piece of foam it adds to the overall feel. The top liner is plush and does not seem to create pressure points. The long chin bar allows a person to breath comfortably without fogging up the visor. The shield is scratch resistant and features a fog resistant coating. The shield does not have detents, rather is uses a friction system. This allows the shield to be set in any location the rider desires and in my experience it has not moved when partially open. The peak is a nice feature once the sun starts to set on my rides. It was long enough to block the setting sun, but it did not interfere with visibility. One common problem with a helmet that has a peak is the lift at highway speeds. I was surprised to find that there was virtually no lift with this helmet, and I did not notice any buffeting on my KLR650. The MX453 has a large closable chin vent, 2 upper closable intake vents and a large non closeable exhaust vent. There is no chin curtain or breath guard supplied. 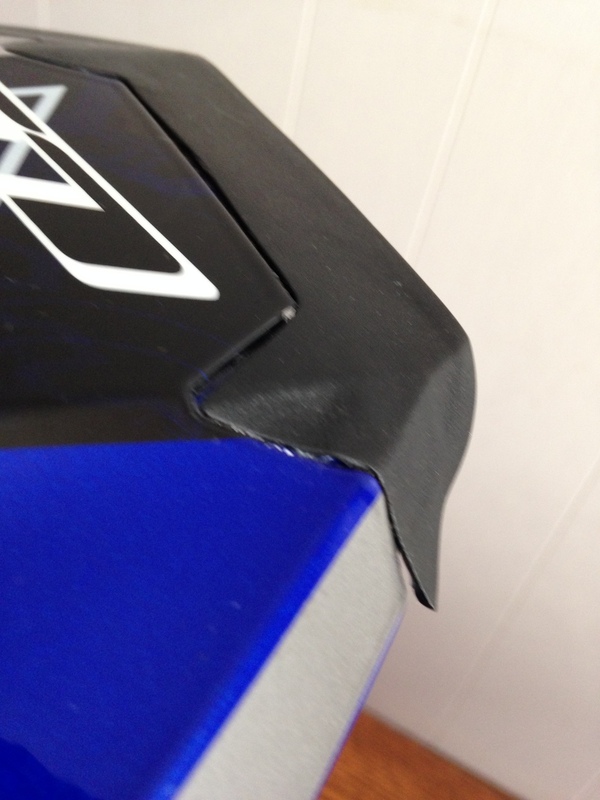 During my rides I noticed that the helmet vented very well to my face, but lacked in the top of the head area. At times it may have been a little too much air around the face. I could see this being bothersome if there was dust or debris. A chin curtain may help this issue. It’s hard to judge a helmet in this price range critically. The helmet retails for $169.95. I was surprised to see that the helmet graphics were nice and the fit between the peak and the helmet was done well with no noticeable gaps. There were some imperfections in the finish, and the peak had a misalignment issue with the front decorative tip. The rubber around the bottom of the helmet doesn’t quite feel as nice as some other helmets. It almost feels too soft, like it could tear. There was one spot on the interior where the rubber gasket around the eye port was tucked under the plastic of the helmet. I used a key to straighten this part and it is no longer an issue. 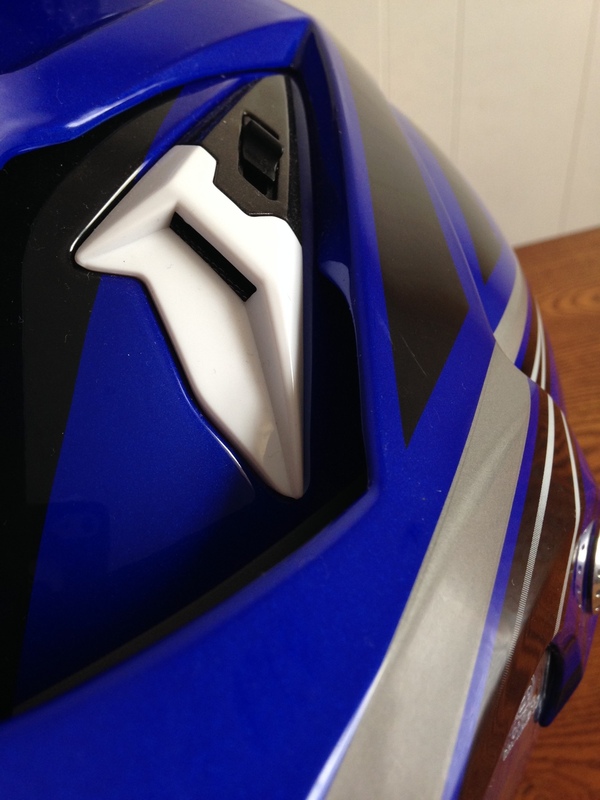 From an aesthetic standpoint, I found it distracting that the front vents on my blue and black helmet were white. There were some quality control issues with the inside foam liner. The cutouts for the vents were not completely formed, and I had to remove the interior and use a razor knife to trim the holes. I suggest if you buy this helmet you take out the padding and check yours. This was not a major problem, just a small annoyance. If this helmet stays at this price point I don’t think any improvements are needed. I do feel that LS2 could put more attention to detail before the helmets are shipped. I don’t think that the helmet I received should have passed quality control with the shield tip crooked and the improper holes in the vent channels. Even with this visible defect I was pleased with the helmet. I would also like to see a tighter fitting shield. I did have some air leaks around the seal. If you are in the market for a dual sport helmet that won't break the bank, I believe the LS2 MX453 is probably the best option out there. It is quite possibly the most comfortable $169 helmet I've ever worn. This helmet does not have the appeal of some of the more expensive options, but it functions very well for its intended purpose. CLICK HERE TO FIND GREAT PRICES ON THIS HELMET! Thanks for reading. If you have any questions or would like to know anything I may have forgotten to mention please feel free to leave a comment and I will respond as quickly as possible. The opinions in this review are my own. If you found this review helpful, please consider supporting our sponsors with future purchases. This is the first review on Spirit Strike done by Jacob Roby of OklahomaKLR. If you guys like it, let him know in the comments below and subscribe to his Channel.